Well here is me writing and already spellcheck has fixed three words… Thanks spellcheck! 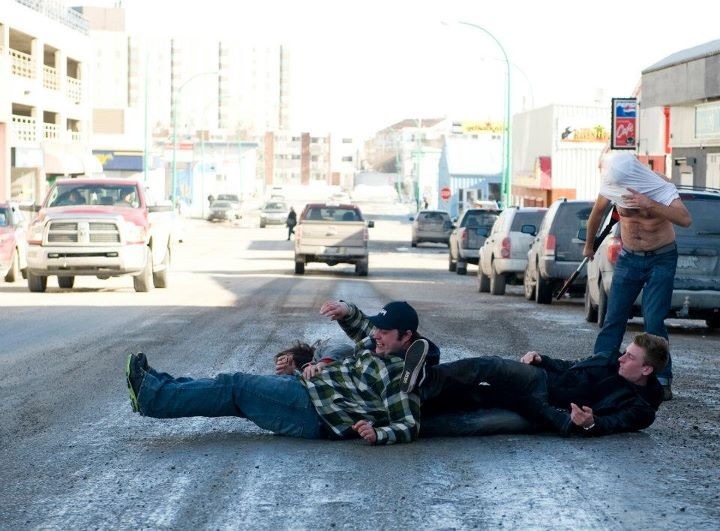 So what the heck is this documentary going to be about? 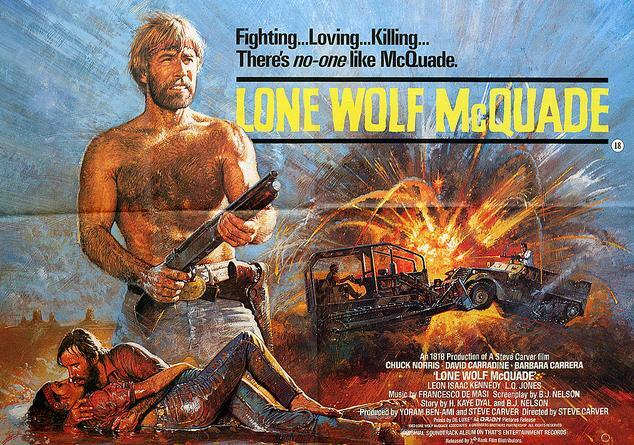 Well its going to focus on one of the best video games ever made! Yes an old video game that came out over 20 years ago on a system that collects dust in peoples attics (I guess not to many people have attics these days but hey I like the expression). If you know this game then I don’t have to explain why it is important to me and thousands of big kids my age. 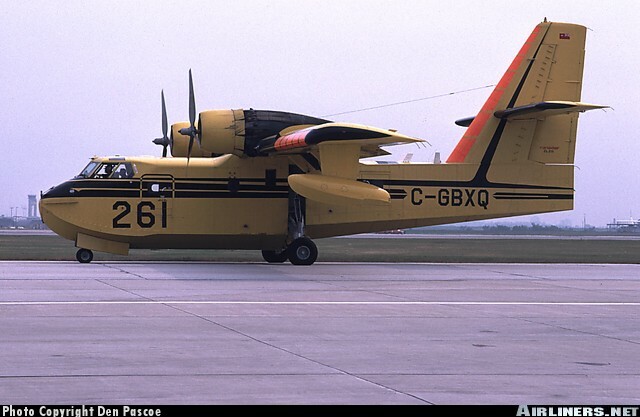 But for everyone else… its just awesome! So thats what I want to capture on film. I have been playing this game sense it came out and i’m not alone, there is a huge mass following to this game. I have been studying this topic seriously for over a year. Now that my TV show Ice Pilots has wrapped its 6th and final season I wanted to take some time and focus on this project. Spending the last 6 years of my life almost everyday with documentary crews has gave me the film bug. Now its time to see if I can make this happen! Here is a teaser we shot some test footage, CHECK IT OUT! I’m going to dig into the past/present/future of this game (Total “A Christmas Carol”rip off) . 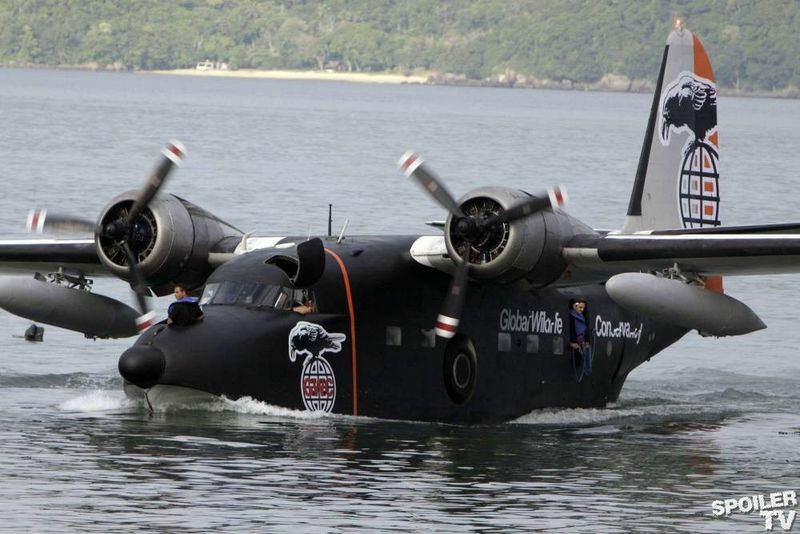 This is going to take me coast to coast and possibly a trip to Hawaii. 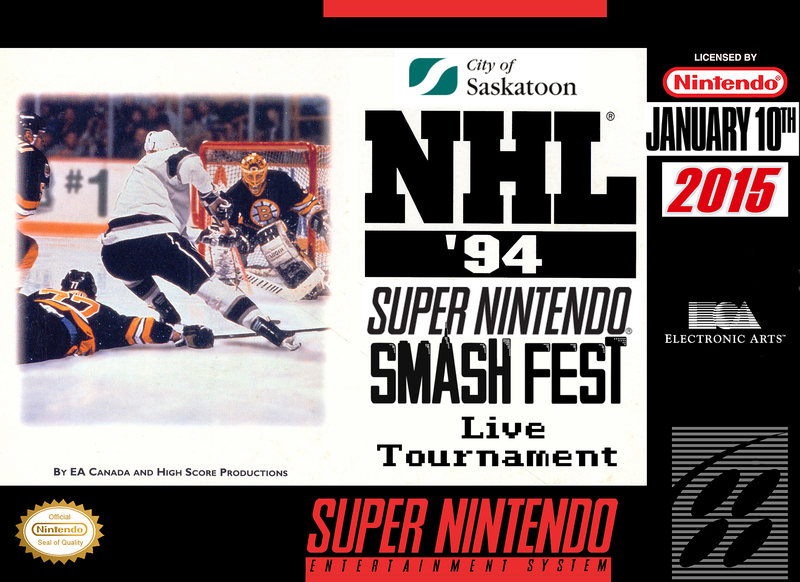 I super excited and with help from the online community over at NHL94.com we are doing a live tournament in Saskatoon January 10th. So far we have 11 of not just normal dudes but some of the best ’94 players in the world coming. One guy is even flying in from California! This event will be the first full day of filming on this project. I’m a little nervous, not only to start filming but i’ll also be competing! I don’t mean to brag but i’m pretty good at this game after playing it for 20 years BUT these guys are pros and ill be happy just to win a single game!! Here is the artwork I made up for the event. I’ll write more about this event as it gets near. For now I just want to take time to thank some folks that really have helped me get to this point. 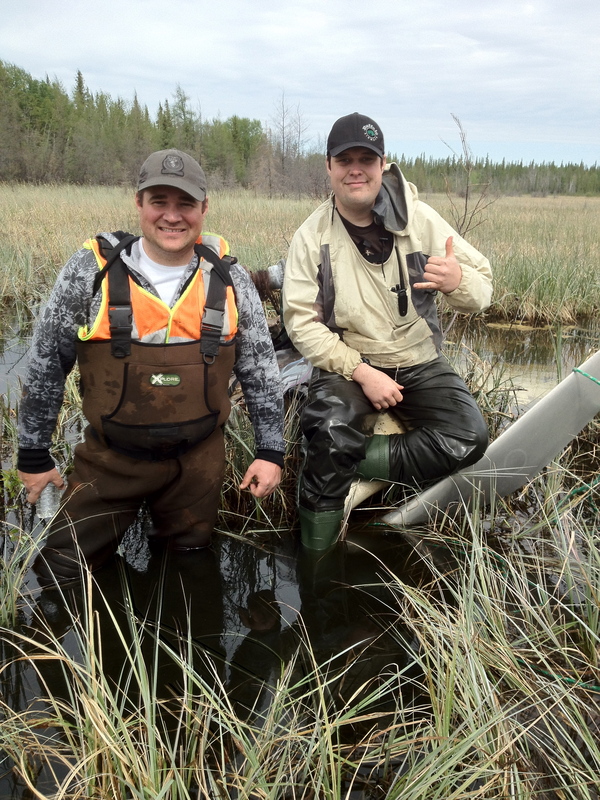 1st off a big shout out to my good buddy Kaetyn St.Hilaire. He has pushed me to get this moving and has been there non-stop to help me out. He made the Pixelated Heroes Website, helped me with graphics and testing my game play (he has even beaten me in ONE game, the first time a lost in over ten years!). 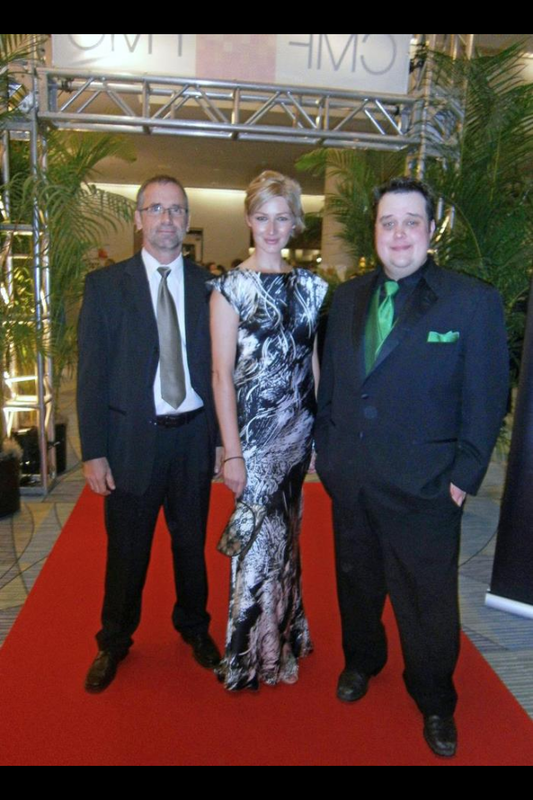 But mostly keeping me motivated and coming to Saskatoon to film and play in the event. 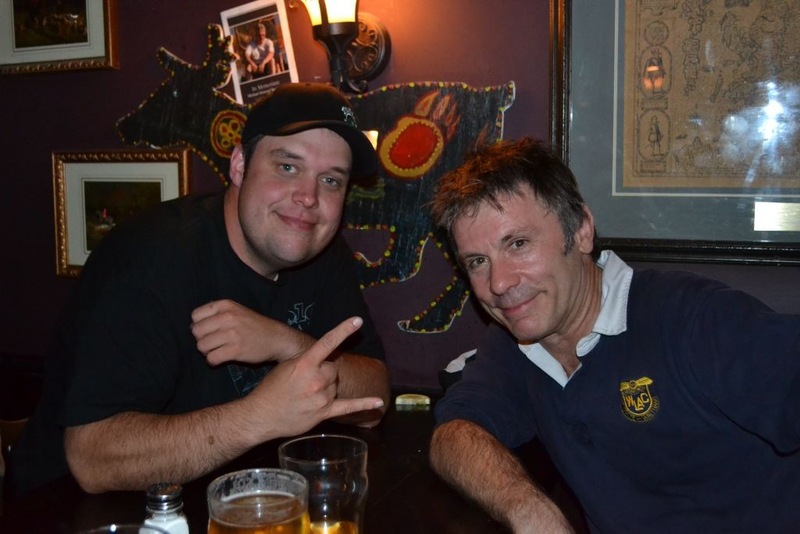 Next I want to thanks “Halifax” from the NHL ’94 online community, he is the guy making this whole tournament happen and is huge supporter of this film project and I can’t wait to interview him and talk more about the future of this game. Also from the online community is a mysterious master of the game that goes by the online handle CLOCKWISE! He has gave me a lot of insight into the programming of the game and the people that made it. 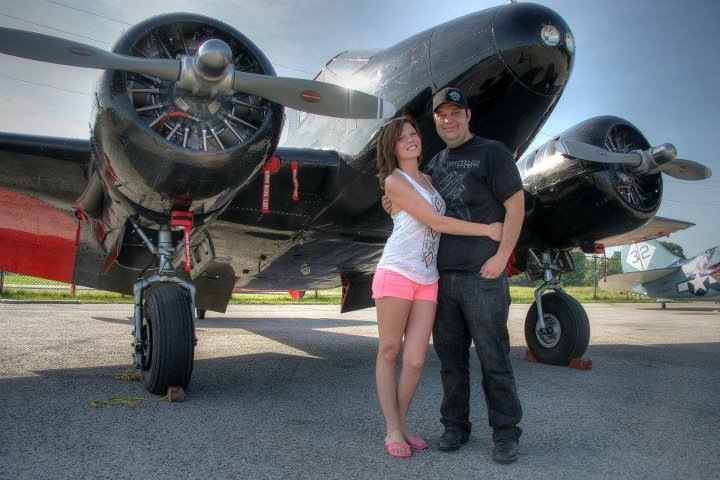 He is also going to be apart of helping me make high end graphics for the production of the film. 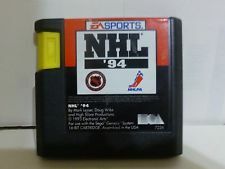 Also a shootout to KingRaph who is the world record holder most goals in a game of NHL ’94. This is even certified from the official Genesis Book of World Record official scoreboard Twin Galaxies! Raph has been helping out with my research into the game and hopefully i’ll get to interview him as well! A big thanks to my buddy and Film Maker Jereme Watt for pushing me about a year ago to really focus and give me the confidence to go ahead and start working on this as a goal. Last but not least a big high five going to Erin McGechaen! She helped me with the promotional writing and scripts! Also she is always there to help me with my many troubles with the english language! Well folks thanks for reading and i’ll be updating this as much as I can so subscribe! Also if you have any ideas or anything you would like to help out or participate in this project please drop me an email at MikeyMcBryan@Gmail.com! This is very cool! I got asked to write I guess spot on a very popular entertainment blog called “Mike’s Bloggity Blog”. 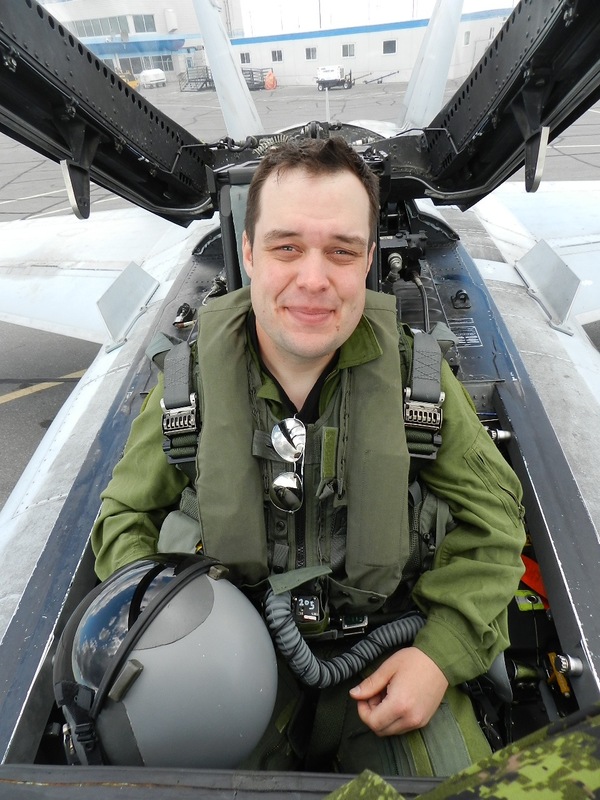 I hope you guys enjoy and make sure to keep checking Mike’s Bloggity Blog for awesome Canadian content!! This past year of life has been just crazy. 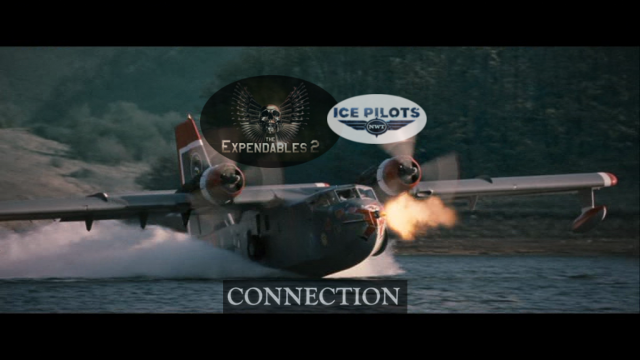 This coming season 4 of Ice Pilots has documented it and will start airing here in Canada on October 25th!! I got big plans for this blog and starting September 3rd, I’m going to be starting my “next year”. But before I explain I would like to do a quick recap of the highlights of the last year starting last Summer. 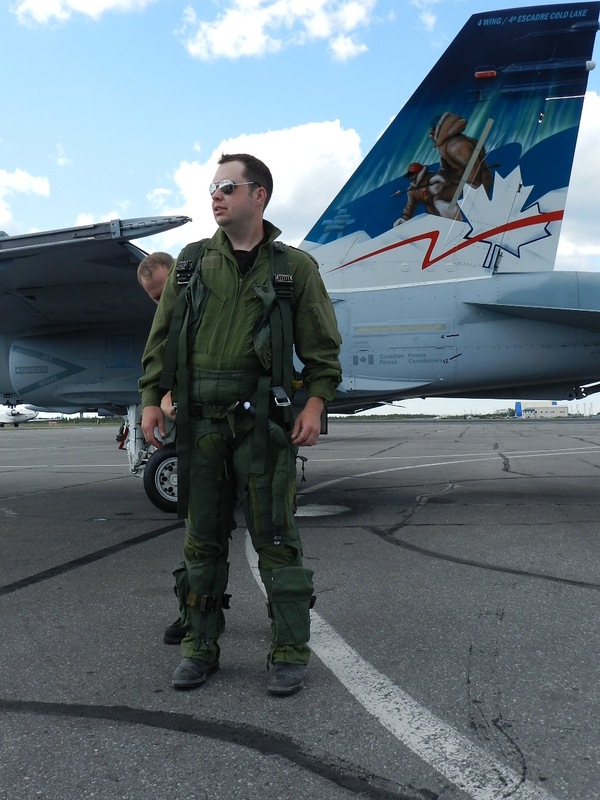 Right when I got back to the hangar we started shooting the CBC TV show “Arctic Air”. Now that was a real blast. Getting meet the whole crew and get to see behind the scenes of what it takes to make a real drama show. 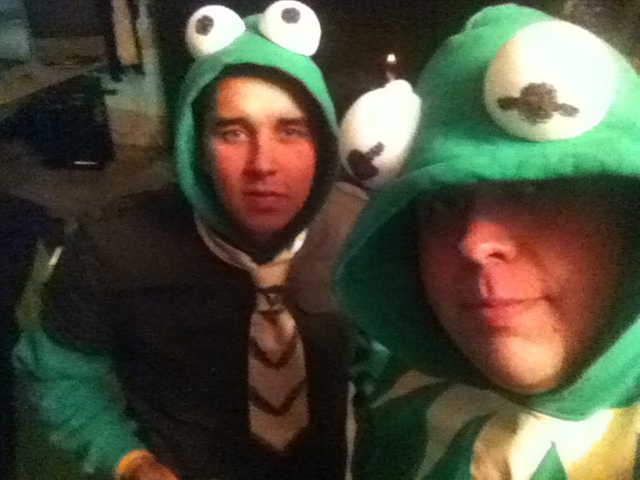 I became friends with almost every crew member, on screen crew and off screen crew! 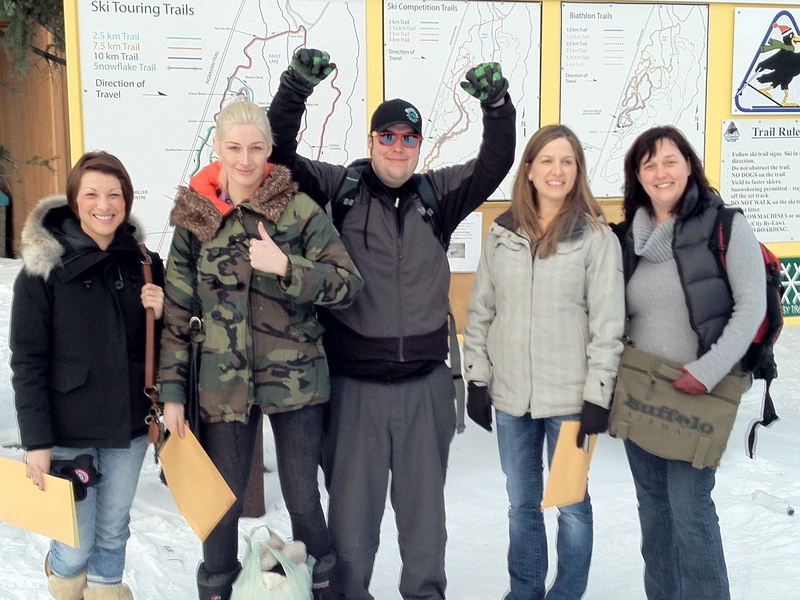 There where some crazy after parties and I highly enjoy working with everyone when they come to Yellowknife. 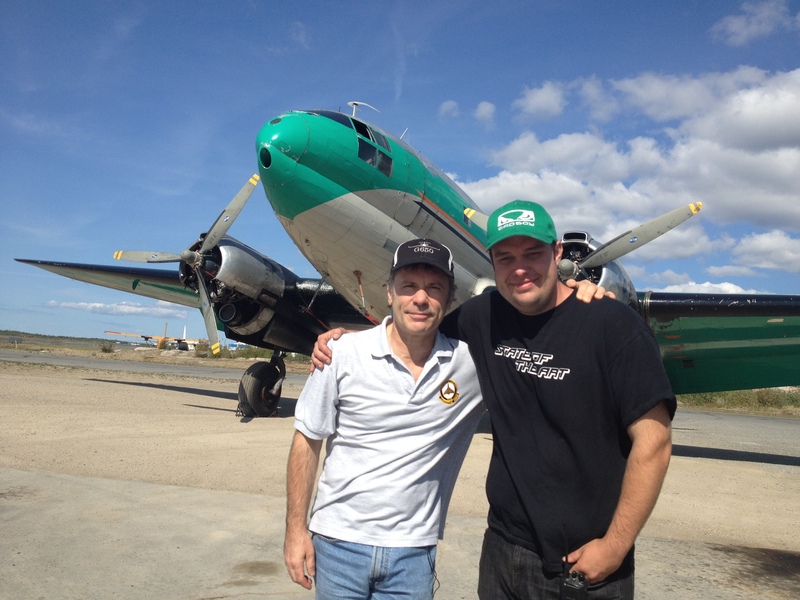 A random cool thing happened when Reggie Leach and his son Jamie Leach came to visit us in the hangar. Reggie won the Stanley Cup with the Flyers during the Broadstreet Bullies era (My favorite time in Hockey!… I know I know) and his son Jamie won the Cup with Mario and the boys in the early 1990’s. 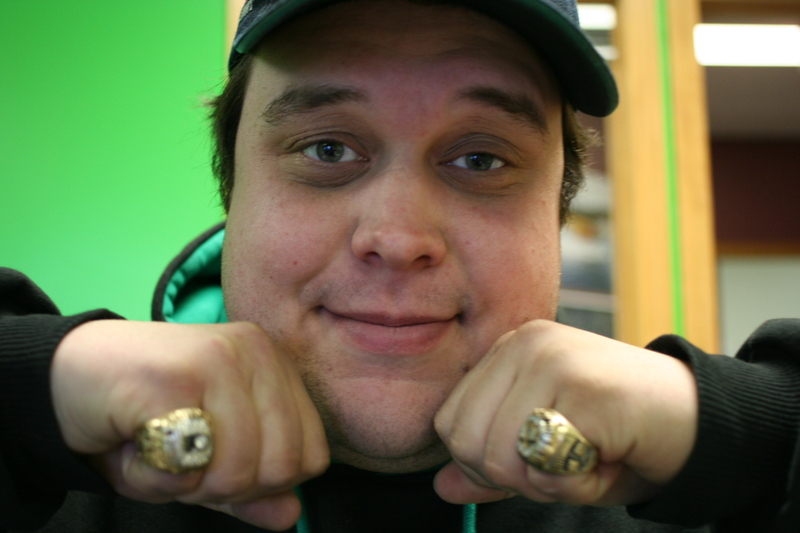 Meeting a father son team that were fans of the show and both had cup wins and they let me wear their rings!!! That was easily a true highlight. Our Annually Christmas For Misfits 4 poster. 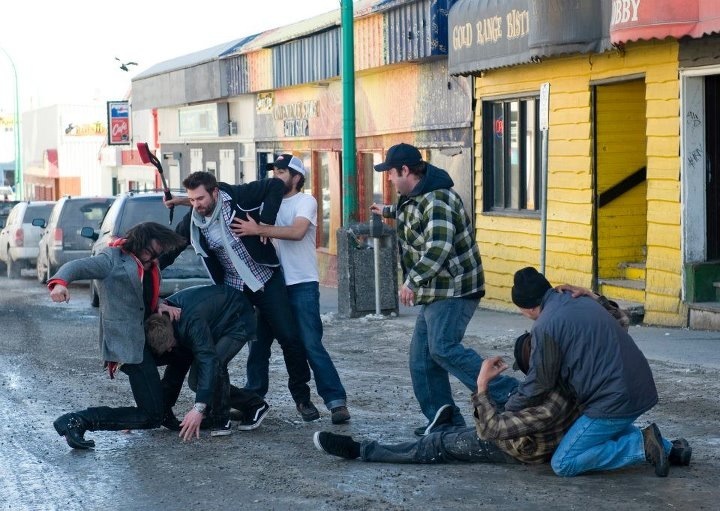 We have this party in Hay River for all us guys that get kicked out of normal x-mas parties lol!! I will release the #5 poster this November for this years party! 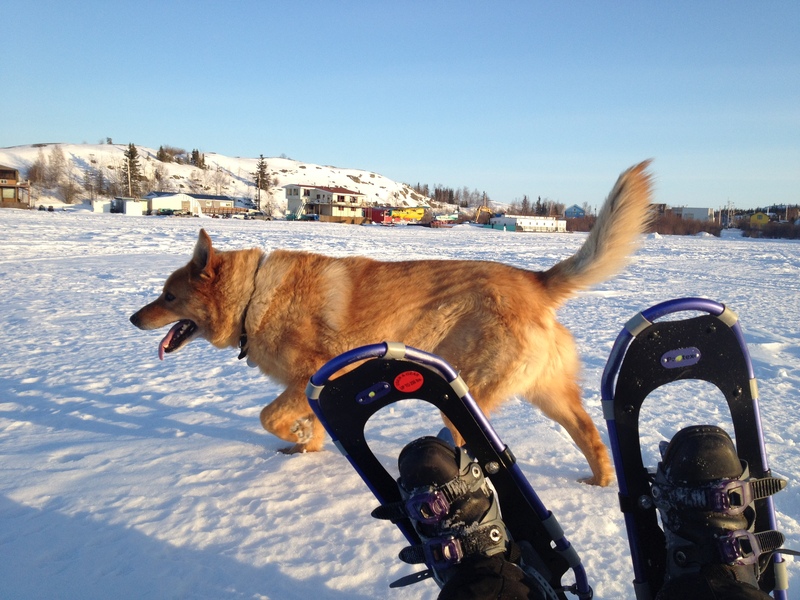 Here is my Tweet to celebrate Ice Pilots NWT going back on the Air in the USA on the Weather Channel, did I mention I love the weather Channel! AMERICA!!! 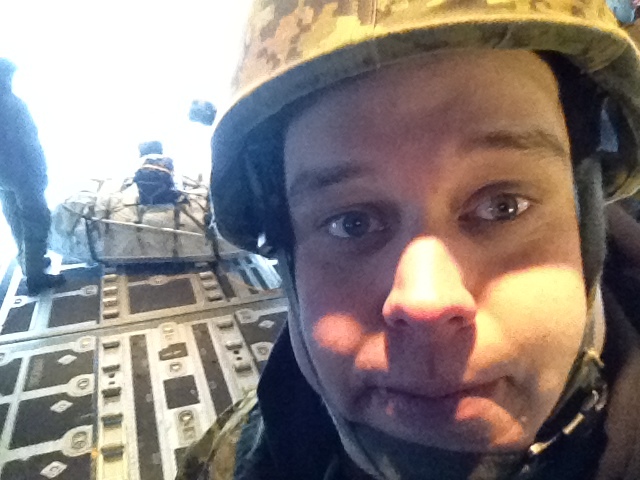 Here is a soot of me in the back of a Military Herc. 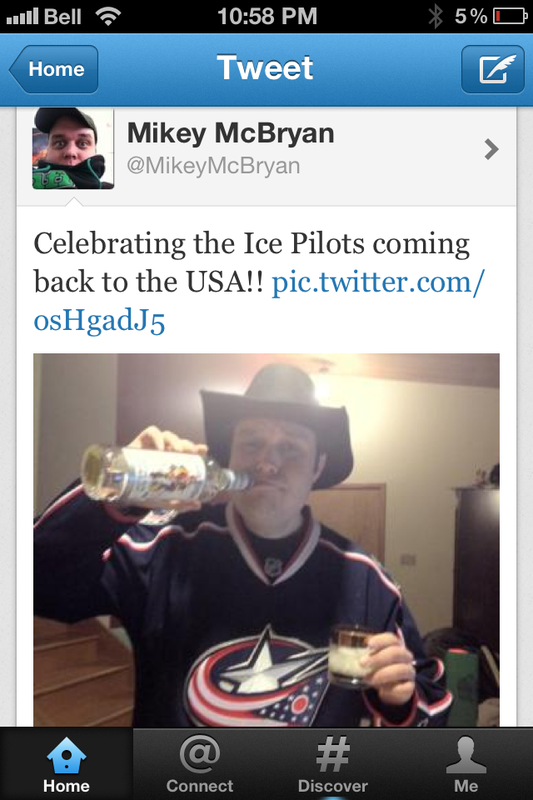 This is an Ice Pilots thing so I cant say much, but what I can say is EPIC! 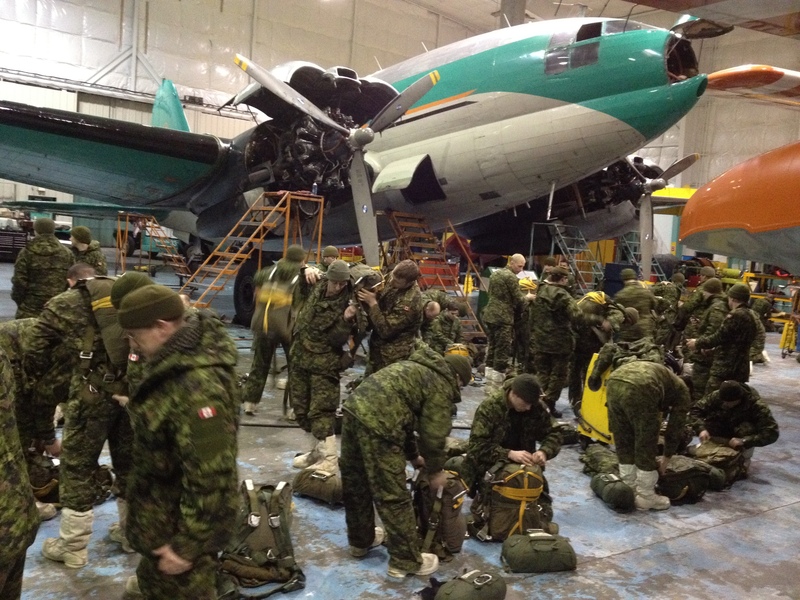 We worked with the Military lots this year, here is a shot of of Hangar and the PPCLI Paratroopers getting there gear on! 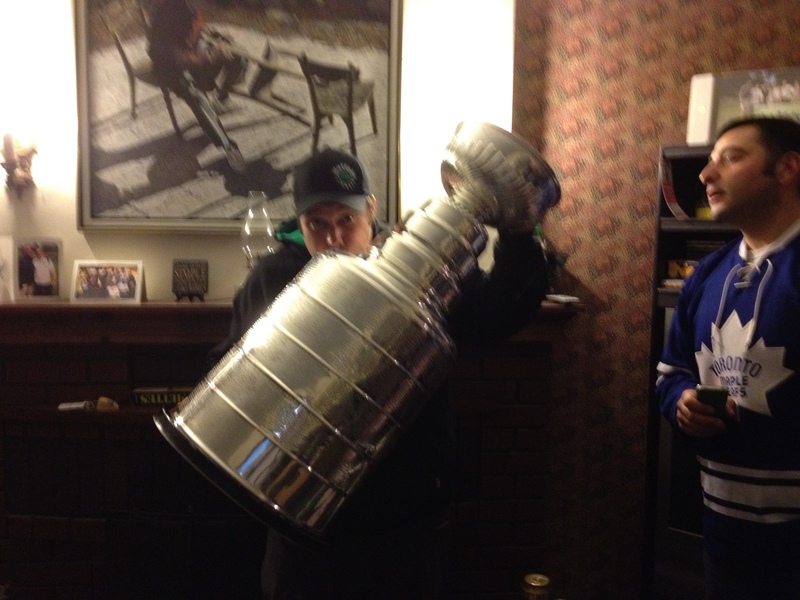 I got to sneak in a vist with my Sliver friend the Cup on one of my trips to Toronto. 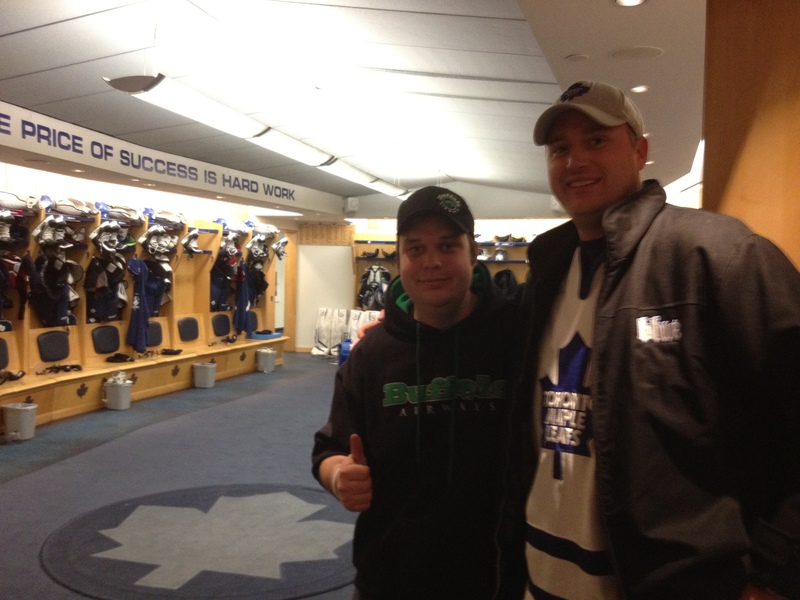 Scotty got me tickets to watch the leafs lose to OV and we even got a game puck and a tour of the dressing room!! 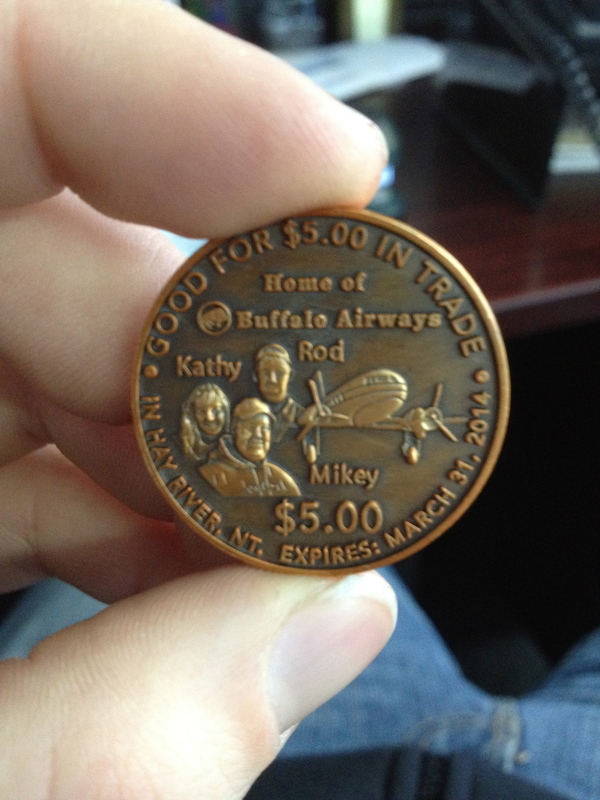 Now this is a huge honour, Hay River but My sister, brother and myself on there $5 dollar coin!! 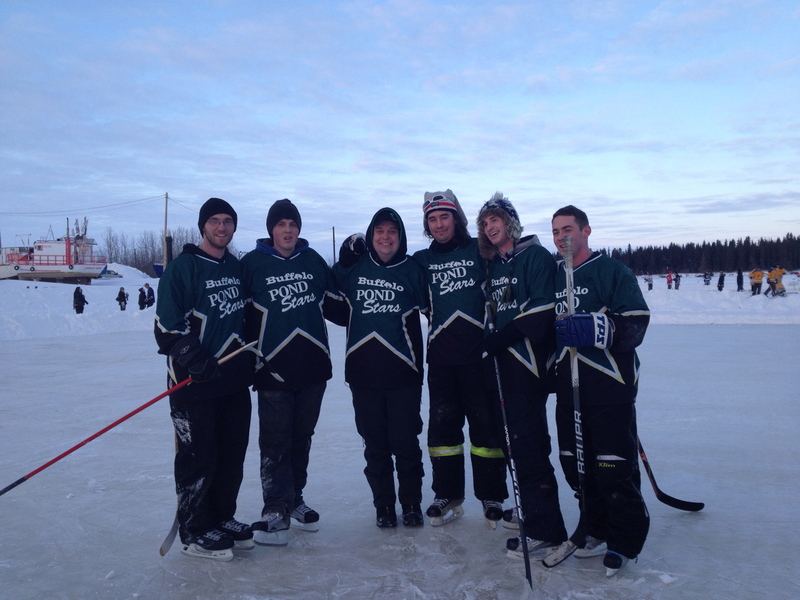 PURE MONEY hahaha I LOVE HAY RIVER!!!! 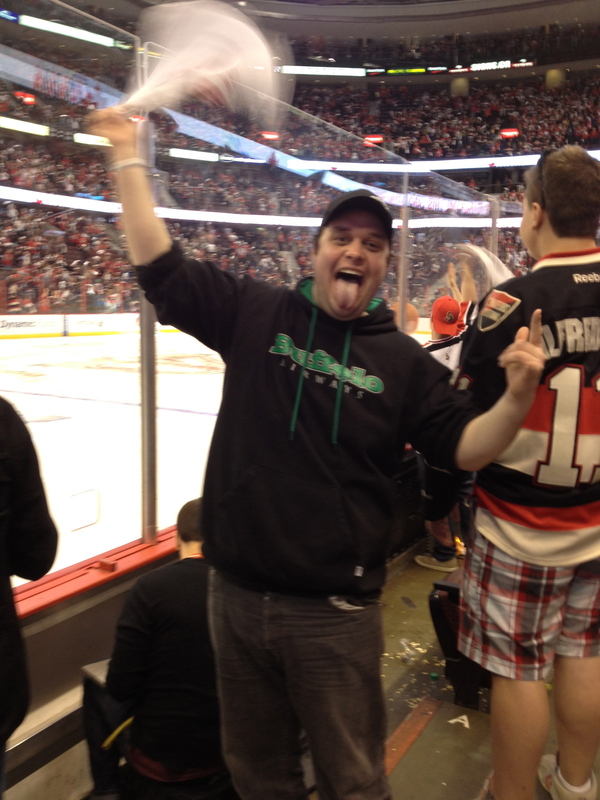 My Buddy Serge and I went to watch the payoff game where the Sens beat the Rangers in overtime!! It was the most fun I ever had at a hockey game!! 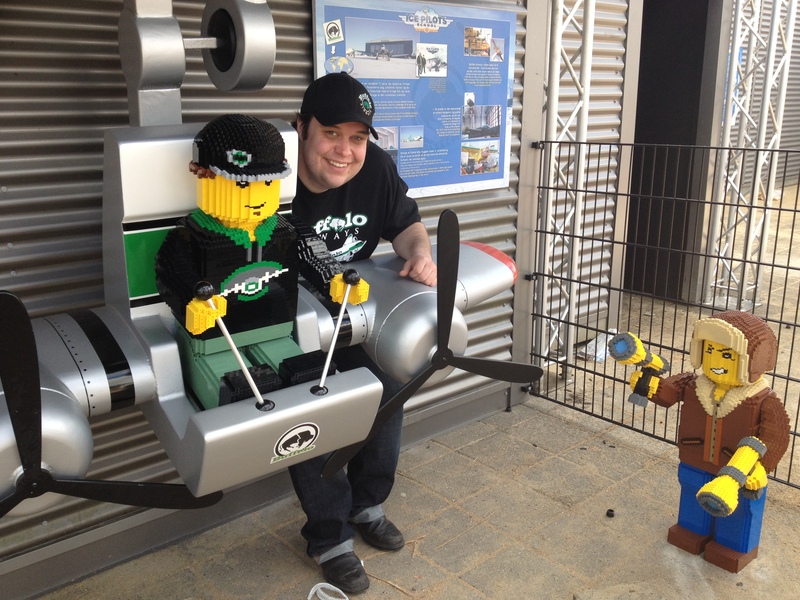 Another cool thing happen, LEGO asked us to be a part of their theme park LEGOLAND in Denmark. 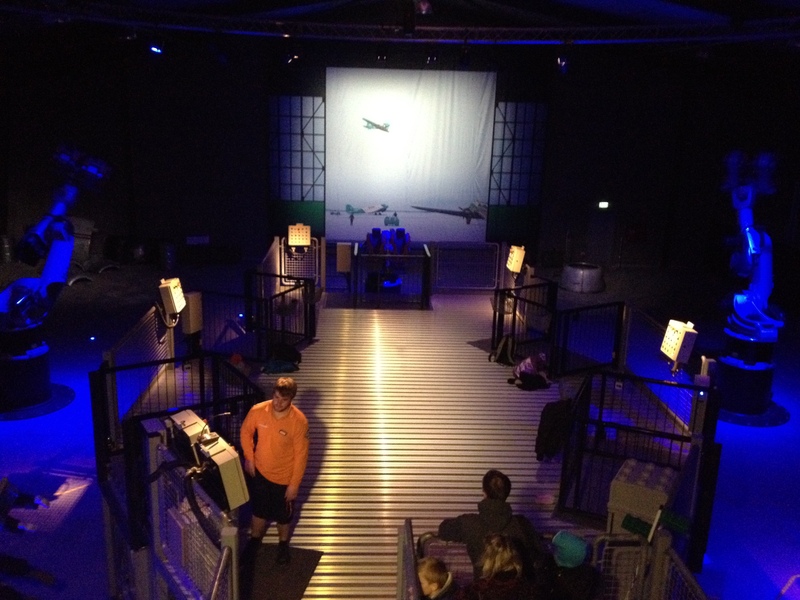 Here is a sneak shot of inside the “Buffalo Hangar” notice the doors hahaha. 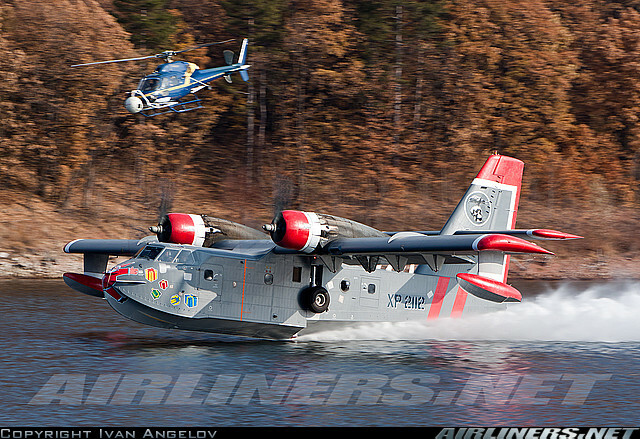 So very cool, you can see the whole thing on a upcoming episode of Ice Pilots. 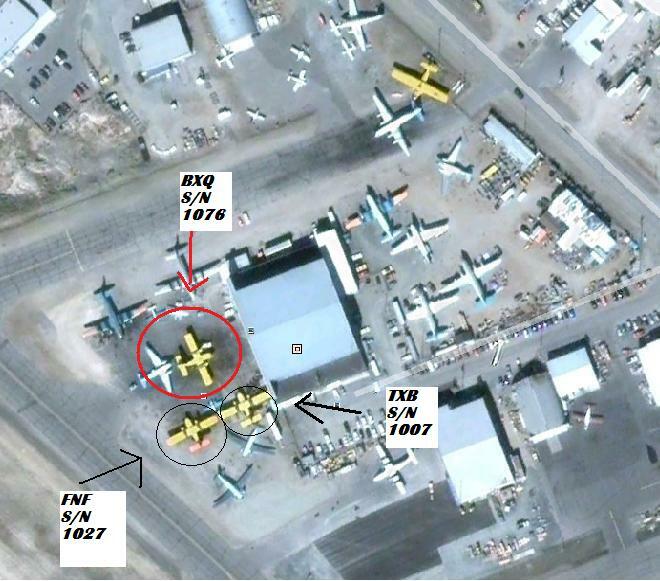 Outside of the Hangar is where you will find the LEGO version of my Father and my self flying an Airplane. If you are in Denmark CHECK IT OUT!! This is a truly amazing moment of my life. 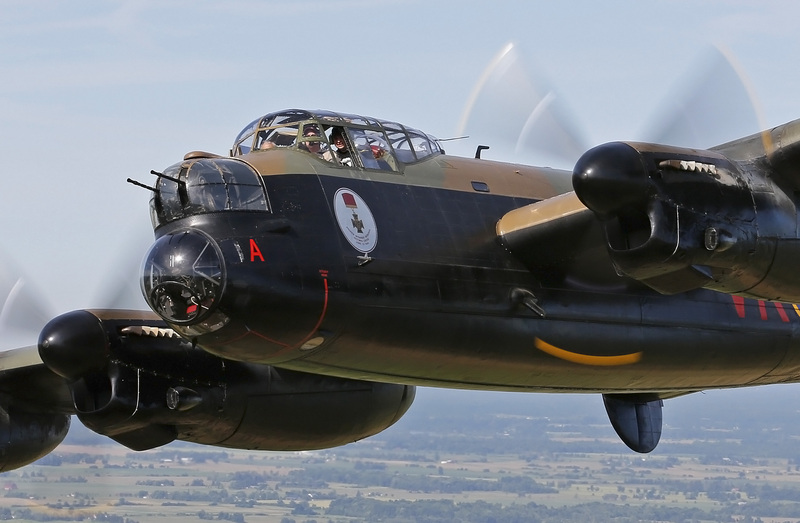 Im flying in the Lancaster (middle) and there is a B-25 on our left wing and the only fling B-29 on our right wing. Also there is a Mustang Fighter doing loops around us. 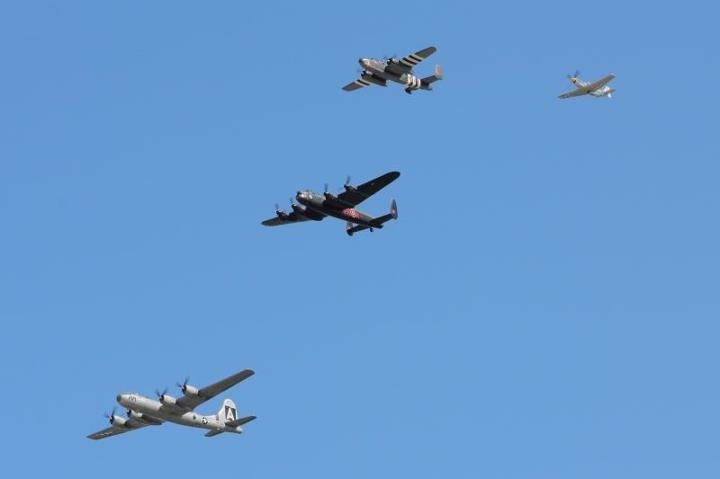 We flew in this formation to Buffalo NY were I got to fly in the B-29. 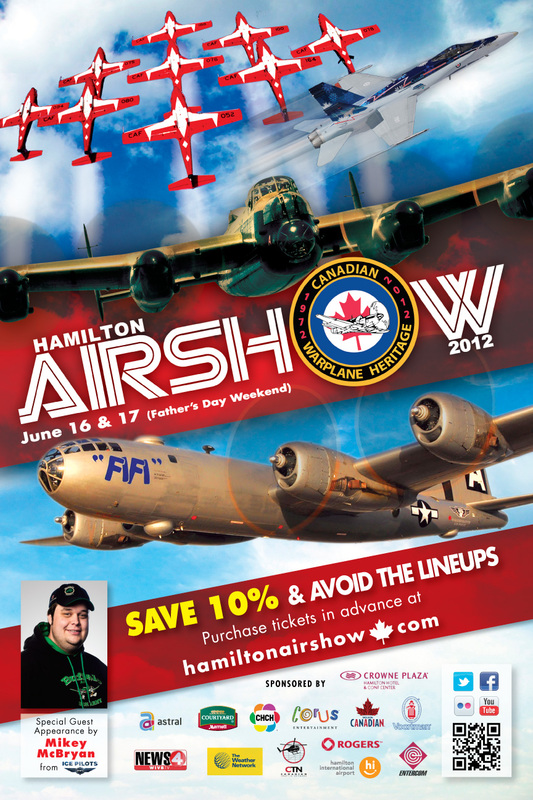 This was all publicly for the Hamilton Airshow. 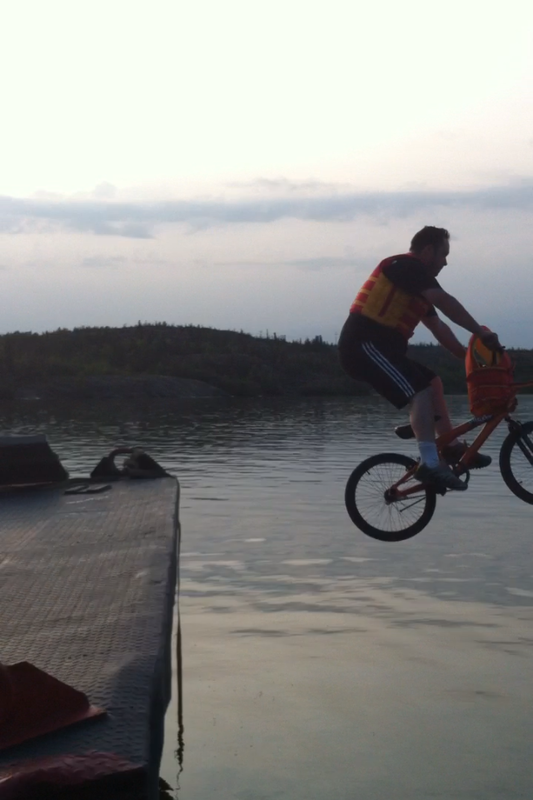 in the future ill write a blog post just about this and show you guys the awesome footage from my phone! 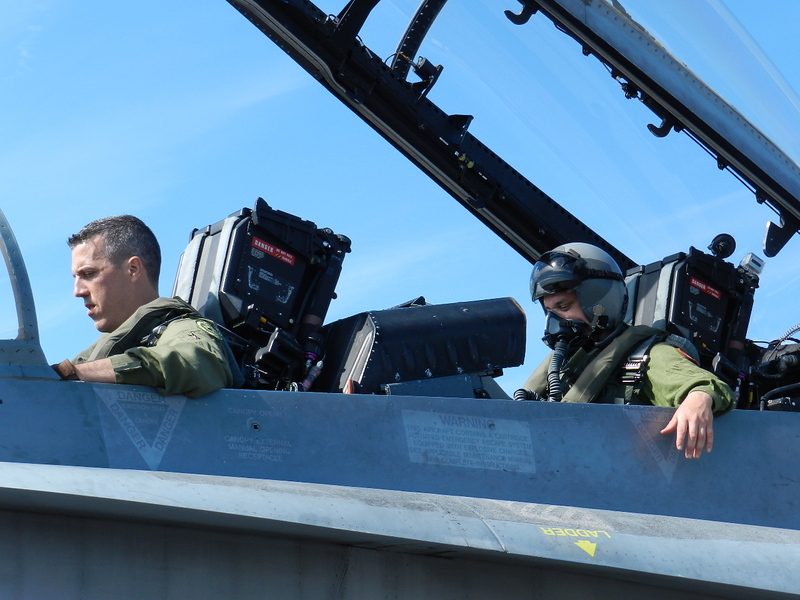 A shot of me looking just behind the captain. 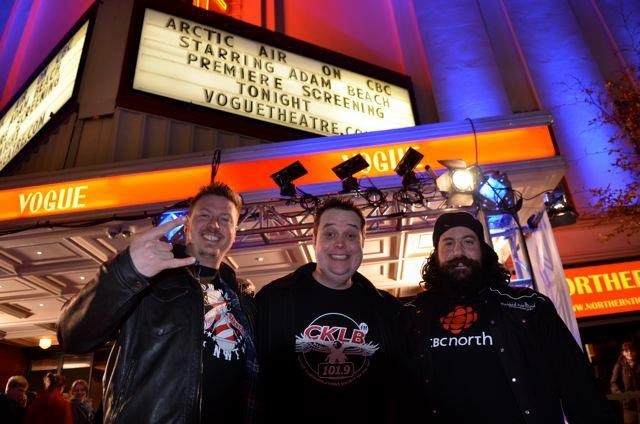 The GNWT asked me to go to Vancouver for Canada Day to help promote the North. 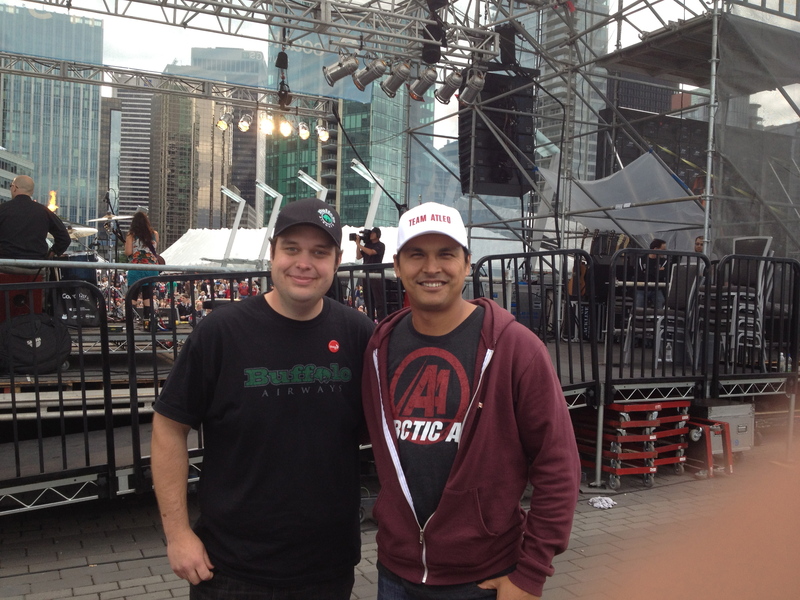 He is a shot of Arctic Air’s Adam Beach and I before heading up on stage to talk to the crowd. Here is me getting strapped in for the ride of my life!!!!! 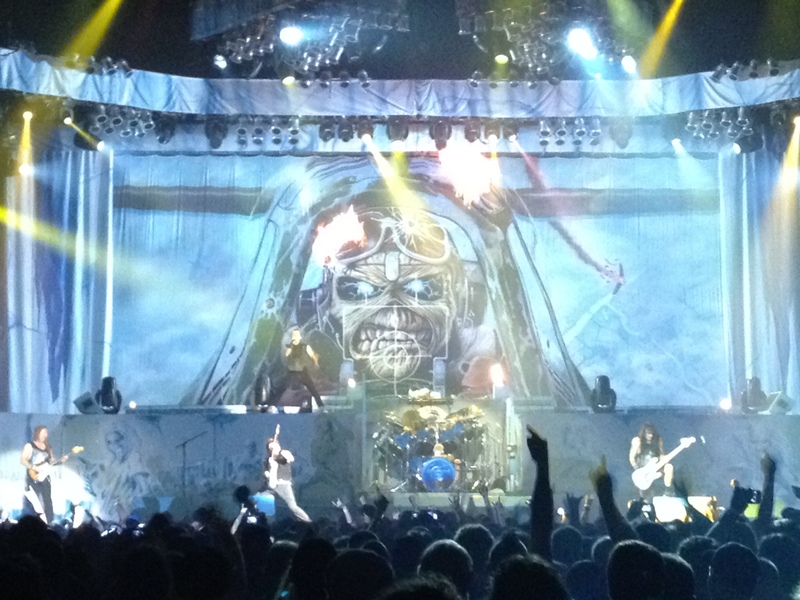 Iron Maiden during Aces High (my fav song) we where in the Sound stage area. 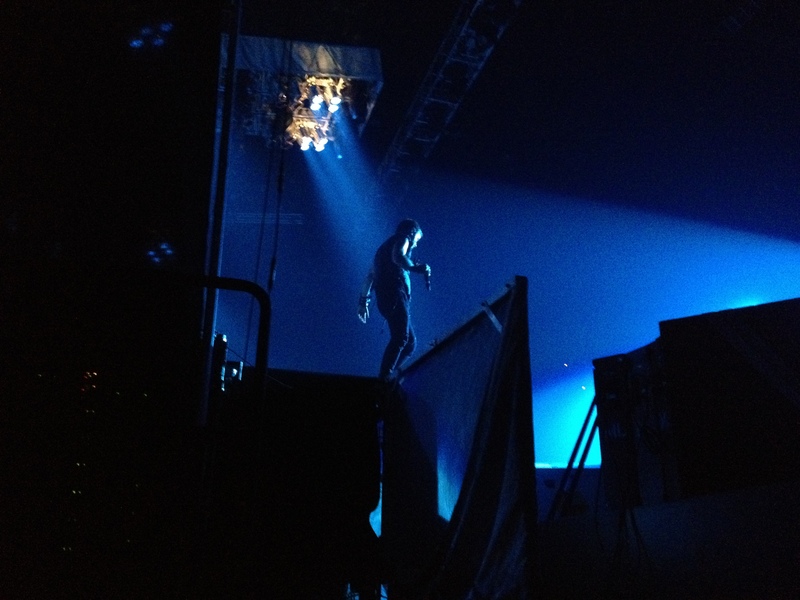 Here is a cool shot I took of Bruce as I was heading back stage to grab a beer lol. My Friend Kristy from Australia was touring Canada and came up to visit us in Yellowknife, so Kenny and I kidnapped her and brought her to the concert. 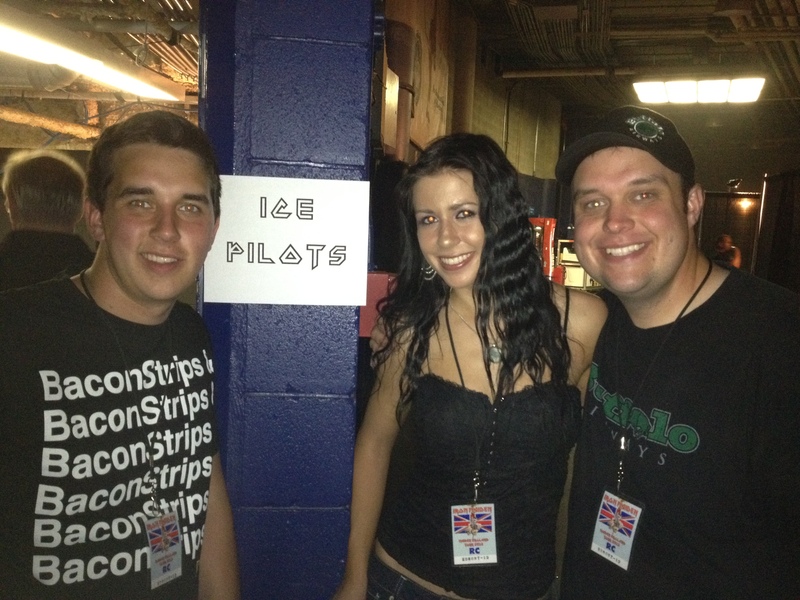 Here is a shot of us outside our personal “Green Room at the Iron Maiden Concert. 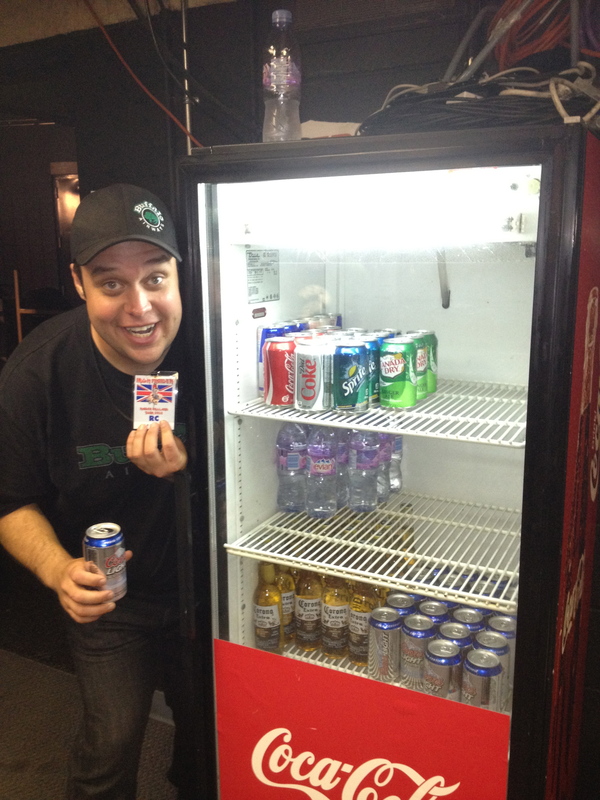 Here is me flashing our back stage passes and grabing one of our free beers lol. There was none left of course!! 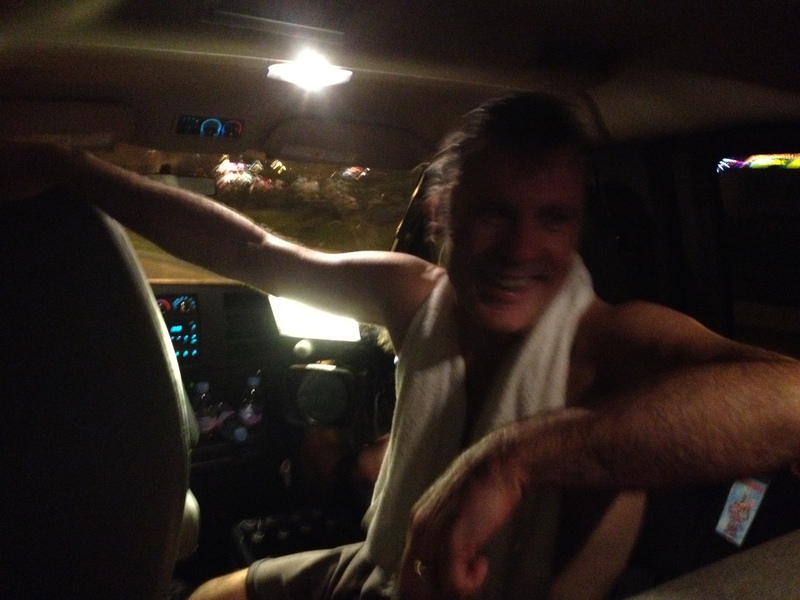 Here is Bruce right after the show, we are in his van heading to the pub for a night cap. 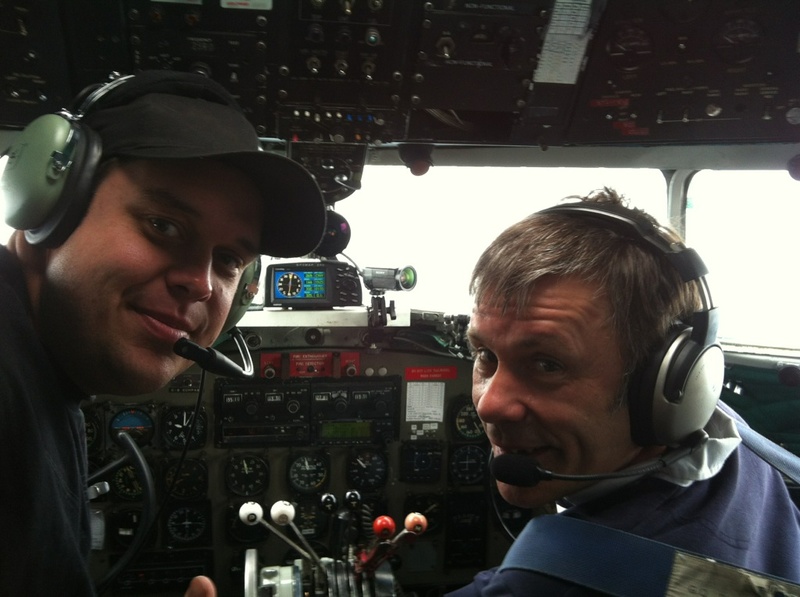 Bruce and I sitting in the Cockpit of the DC-3 WZS on our way from Edmonton – Yellowknife. 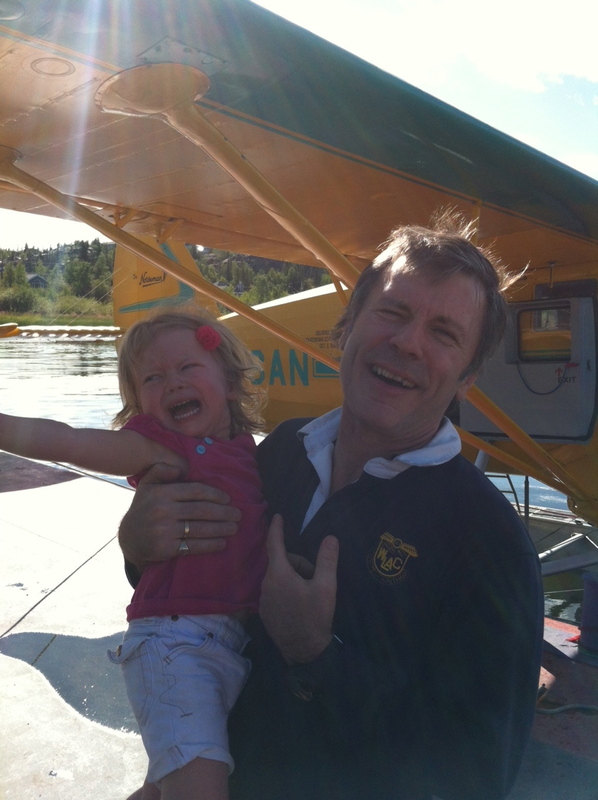 My favourite pic of Emma Rae showing Bruce how to really scream!! Maybe he will come back and try his hand on the 46?? ?